It’s almost November, the start of holiday season when life gets crazy busy—but in a good way, because who doesn’t love Starbucks peppermint mochas and Christmas lights?! You may be killing it at your fitness goals, meal-prepping like the boss you are and lacing up your tennis shoes even when you’d rather stay in bed another five minutes. But come the holidays, often the first thing to be brushed aside is your fitness and meal routine. That’s why you need this 24-day challenge. Enter stage left: Advocare. Advocare helps you reach your fitness goals by providing nutritional, weight-management and sports performance products. With this 24-day challenge, you’ll be setting yourself up for a routine that can last you through the holidays! You’ll begin your first 10 days with a Cleanse Phase, preparing your body for optimal I-feel-amazing results. But don’t be fooled by the term “Cleanse”—this is not a liquid-only diet (girl, please). Instead, you will be ridding your body of waste through Advocare in conjunction with a healthy diet and exercise (keep reading, because we have a FREE gift for you). Your 24-day bundle even includes a Daily Guide that provides meal suggestions so you won’t be left wondering what in the world you should buy on your grocery run. The final 14 days of your challenge is the Max Phase—this, my friend, is your fuel stage. You’ll be taking 3 products that work together to provide you sustained energy, appetite control, and core nutrition and support overall wellness. Read: you’ll feel amaze by the end of your 24-day challenge. Well how about a FREE (as in, $0) month of online home workouts in November when you sign up through Dallas Iron Fitness for Advocare’s 24-day challenge?! You’ll receive 4 weeks of workouts (3 workouts per week) that can be done anywhere—home, gym, the park... wherever you love to exercise! So let’s kick off the holiday season the right way, by treating our body well so we have alllllll the energy to enjoy the holiday parties on parties on parties. 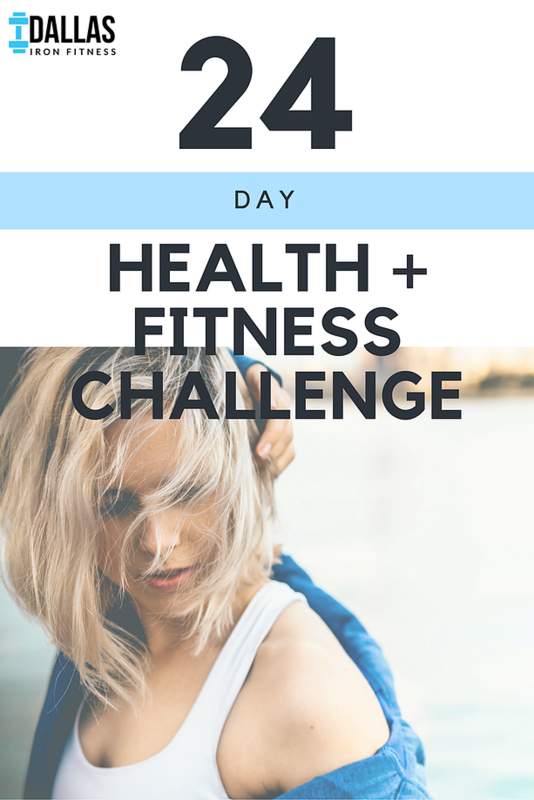 Ready for your 24-day challenge to holiday health?! Email us at dallasironfitness@gmail.com to get started!